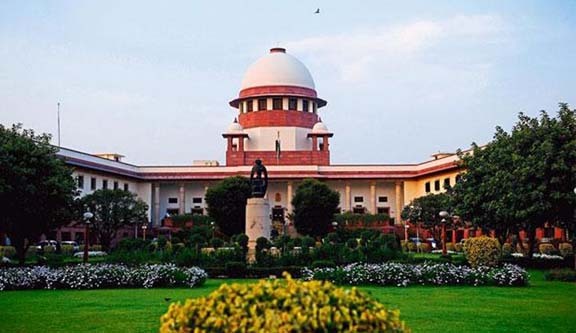 In a significant judgement, the Supreme Court on Tuesday said cases related to the D-voters could be heard at the respected Foreigners’ Tribunals in Assam. The directive given by the Supreme Court would definitely give a sigh of relief to the lakhs of D-voters, who earlier needed to appear before the Gauhati High Court for hearing. The court took up a petition filled by a resident of Karimganj Moinul Haq, who was branded as “D” voter by the authorities concerned. Appearing for the petitioner, advocate AK Talukdar said in 2007, Moinul was detained by the police only to tag him as a D-voter in 2013. Later, Moinul appealed in the Gauhati High Court to shift his case to the Foreigners’ Tribunal at Karimganj. However, the Gauhati Higj court had rejected his plea. “Today, the Hon’ble Supreme Court gave the directive and said D-voters case can be heard at the Foreigners’ Tribunal also,” said Talukdar. Talukdar said with this directive, more than 1 lakh people would be benefited in Assam. “Yes, this was a significant judgement. This will definitely benefit lakhs of people who have been applying to get their cases transferred to the Foreigners’ Tribunals,” said Talukdar.